Cover is worn and has discoloration. Map is not present. Some pages have a spot on blank areas at bottom of page. Pages are other wise clean and very readable. 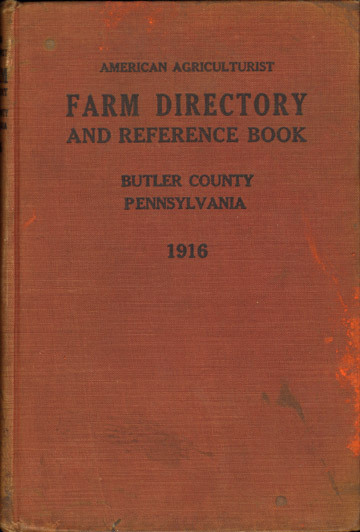 Thousands of listings of farmers across Butler County, Pennsylvania.